Why have we failed to create the happy, peaceful world that we all want? Are we even capable of it? And if so, what must we do? For over three decades, Jalaja Bonheim has explored these questions in her work with women healers, leaders, activists and spiritual seekers from around the world. 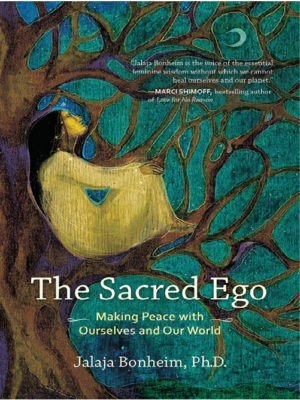 In The Sacred Ego, she tackles one of the core myths of popular spiritual culture—the myth of the ego, supposedly responsible for our greed, selfishness, and violence. In contrast, Bonheim approaches the ego as a sacred function worthy of honor and gratitude. Instead of struggling against it, she invites us to cultivate a new relationship with it based on respect and understanding. With riveting stories from her work, she guides us into the depths of our collective psyche to pinpoint the real sources of our problems and illuminate our path to wholeness. It’s high time we developed a new sense of respect and compassion for our ego. It is not our enemy. It’s our friend. Granted, it’s a problematic, difficult friend, but a friend nonetheless who deserves to be honored as a sacred ally dedicated to the protection and preservation of life. 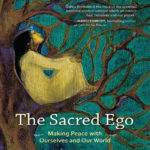 Firmly grounded in a lifetime of practical experience, The Sacred Ego is a visionary, uplifting book that explains where we stand as a species, why we’re in crisis, and how each one of us can support the unprecedented transformational process we’re witnessing today. With dozens of powerful exercises!